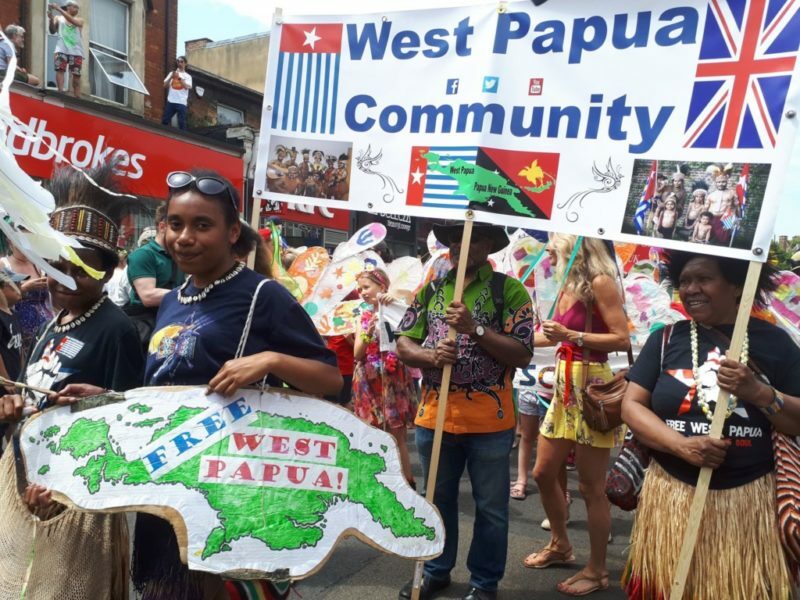 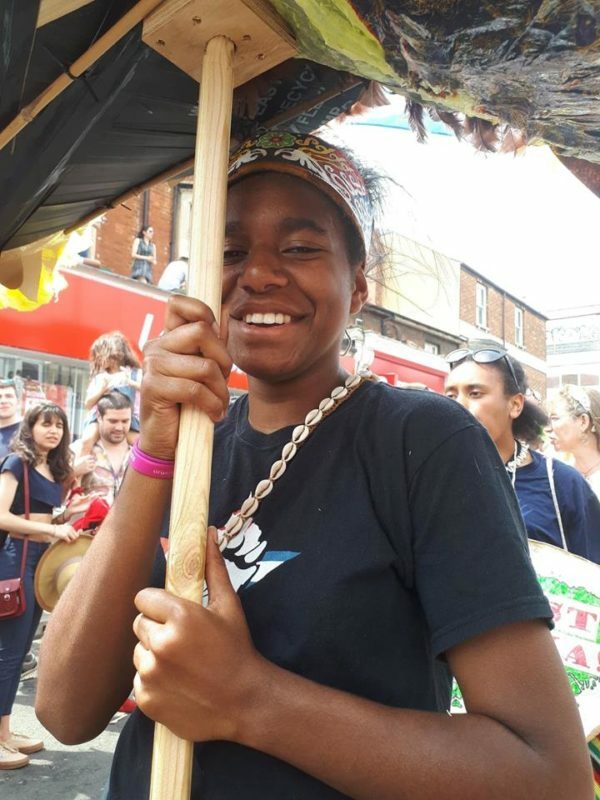 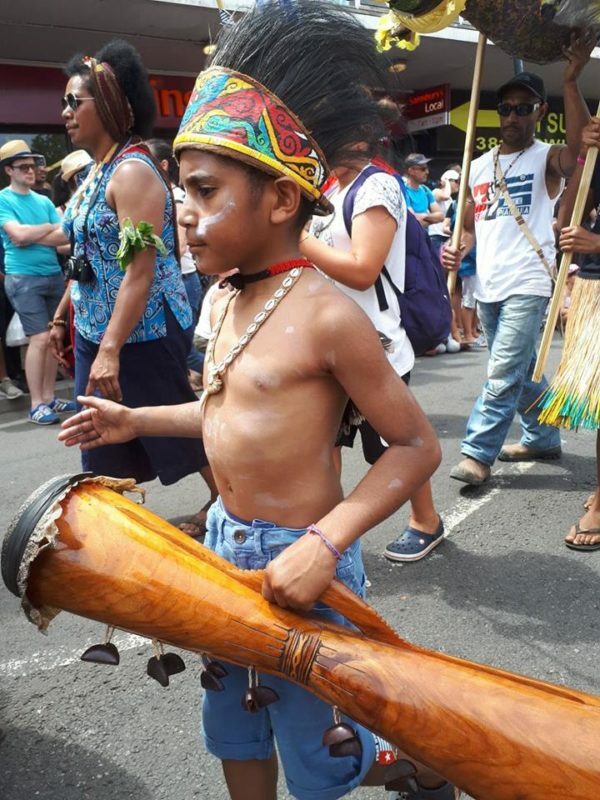 On July 1st 2018 the West Papuan Community joined Cowley Road Carnival again for its 12th year! 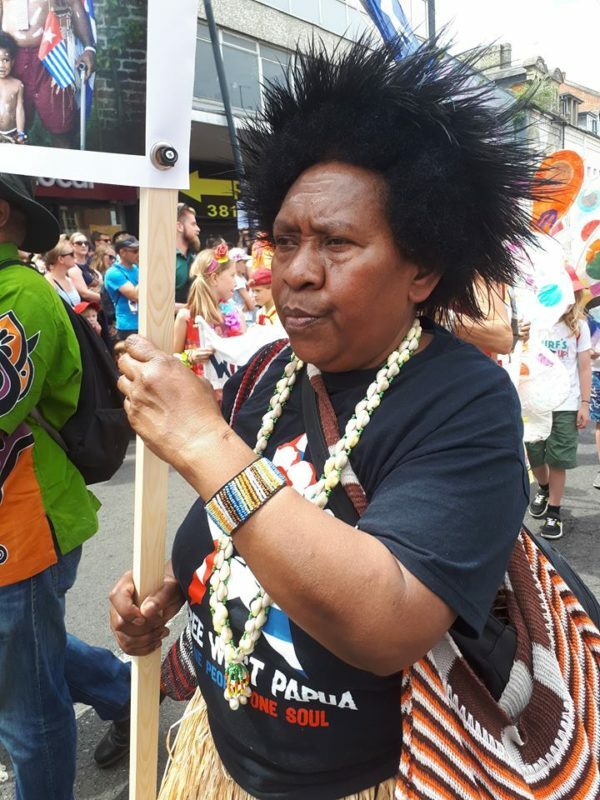 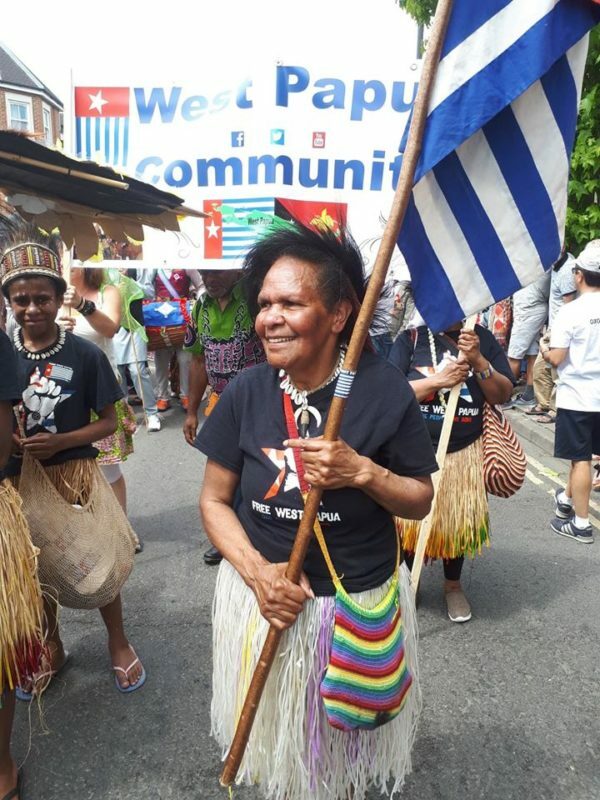 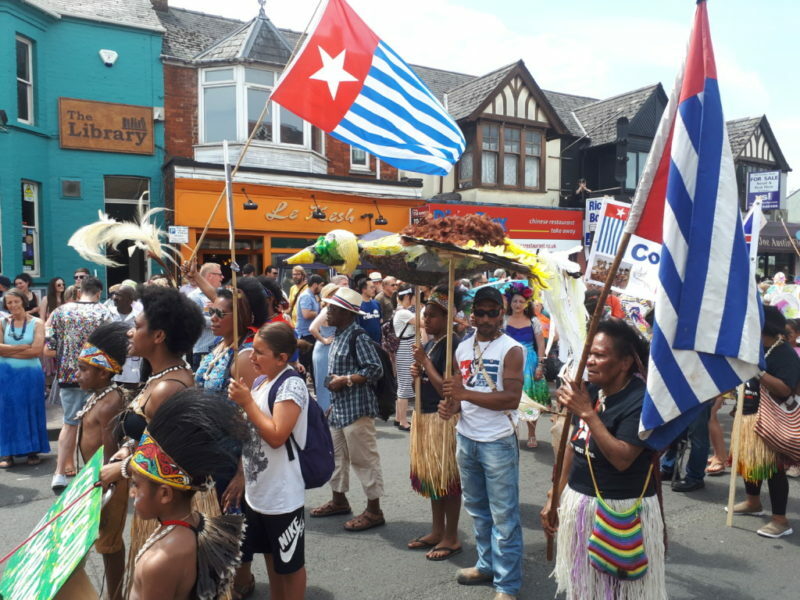 Every year the community take part to represent the people of West Papua, and to thank the people of Oxford for supporting our right to self-determination and for giving the Free West Papua Campaign a home. 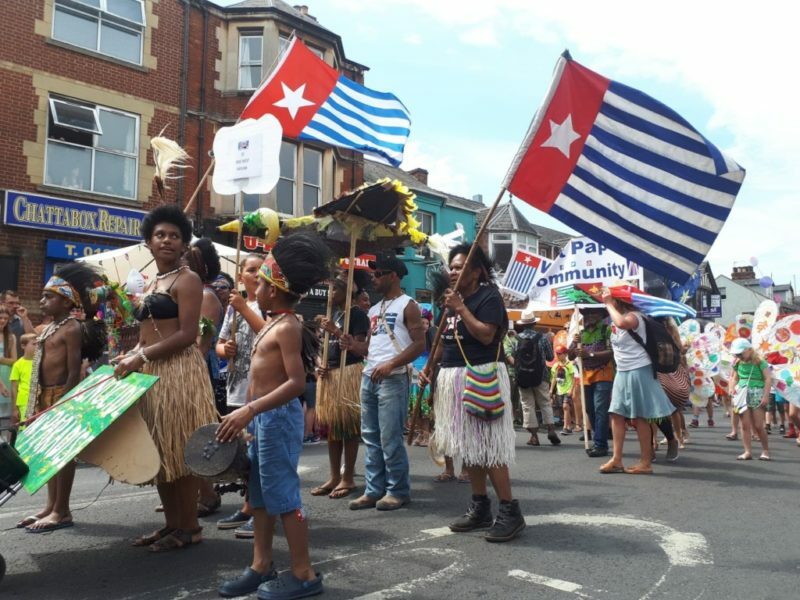 This year the procession was also to remember the 1st July and West Papua Independence Day proclamation by OPM 1971. 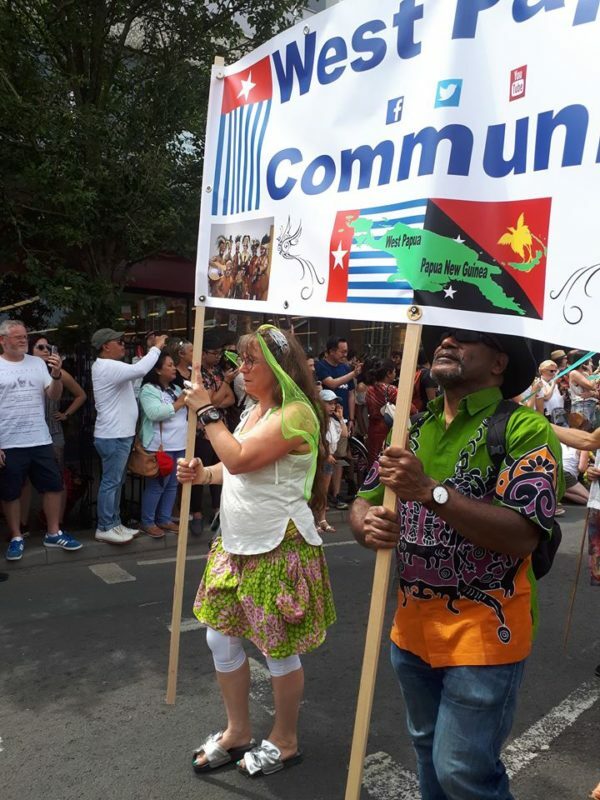 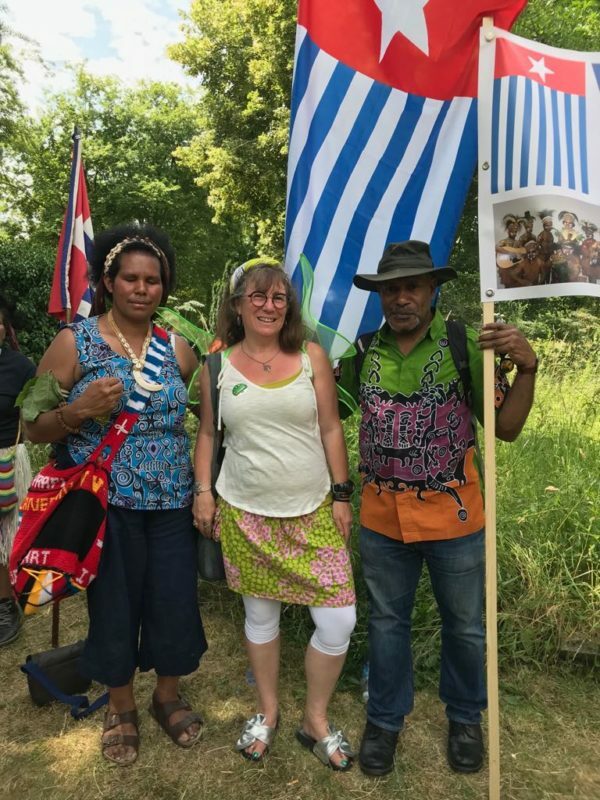 The West Papua Community was very proud to join this carnival and this year our group was joined by our family from the Netherlands and former Lord Mayor of Oxford, Elise Benjamin, and the Free West Papua Campaign family. 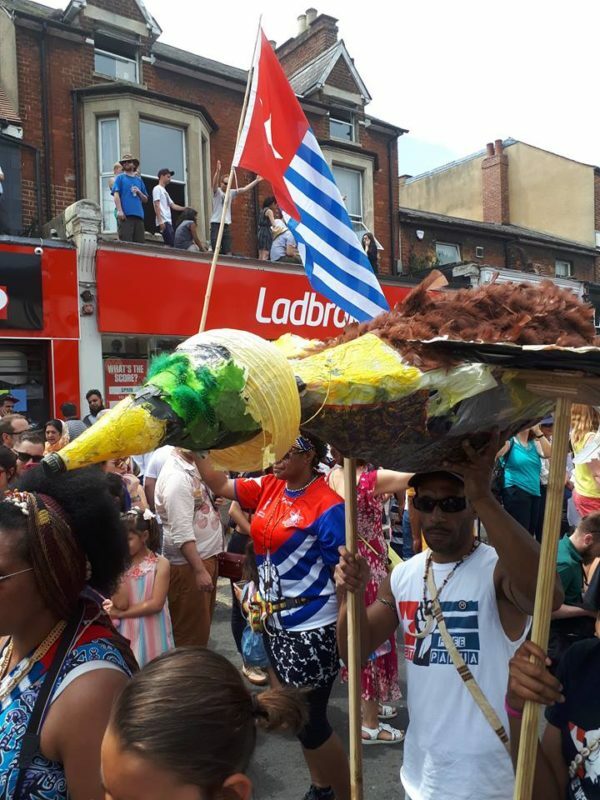 We also made a beautiful bird of paradise, decorated by the Wenda children. 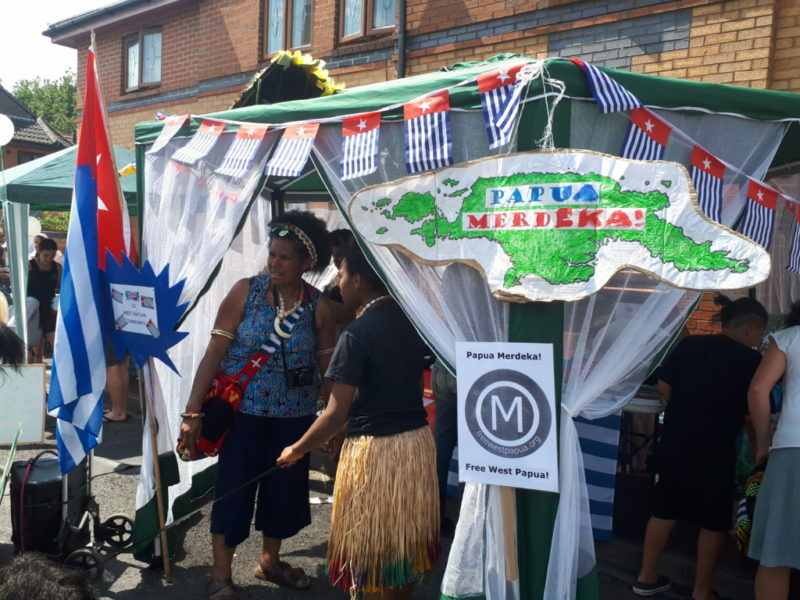 Every year over ten thousand people come to the carnival, and we are so grateful to the team at Cowley Road Carnival for inviting us to be a part of it again, and having a chance to celebrate our Melanesian spirit alongside the many different cultures celebrated in Oxford. 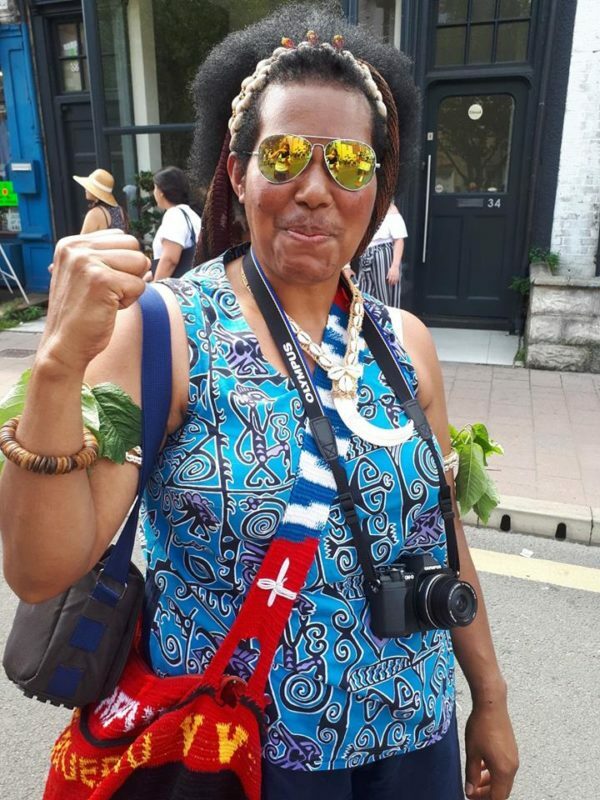 It was a wonderful day. 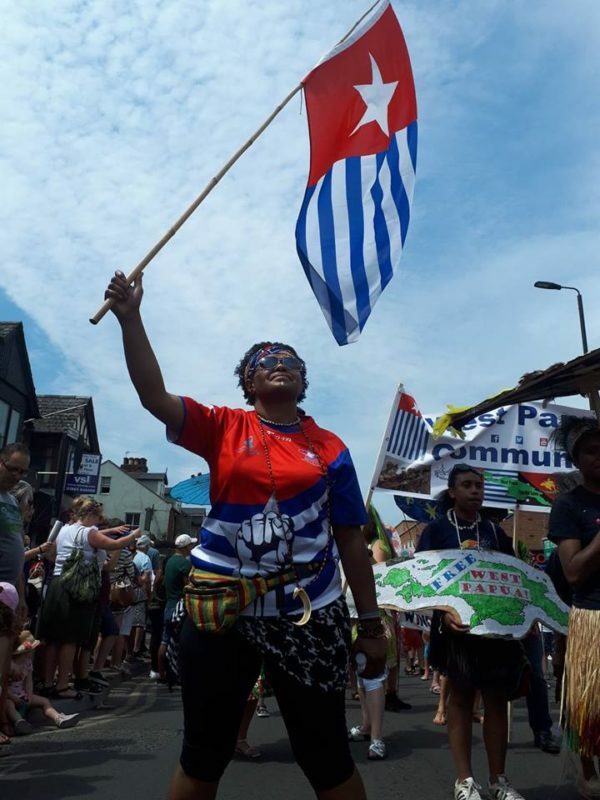 West Papua’s culture is being quickly eroded under Indonesia’s brutal genocide of the West Papuan people. 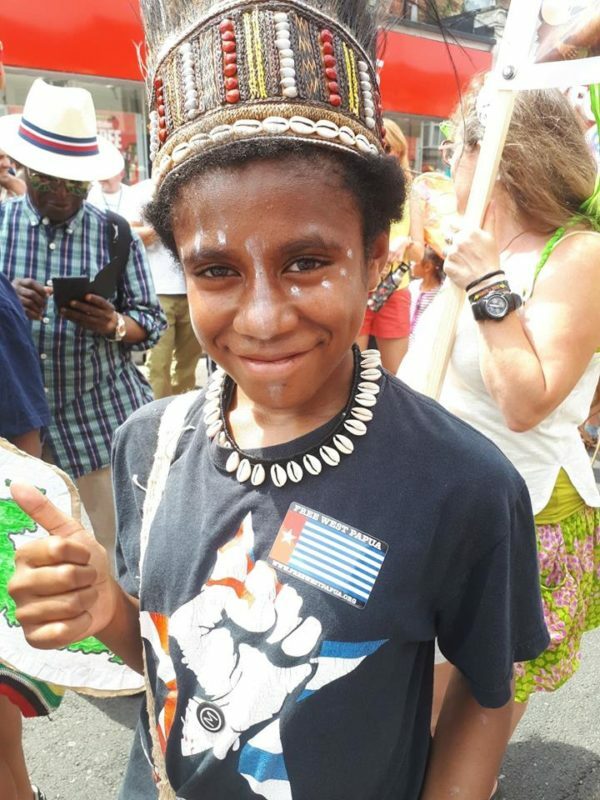 Promoting West Papua’s culture is an essential part of keeping the West Papuan struggle alive and flourishing. 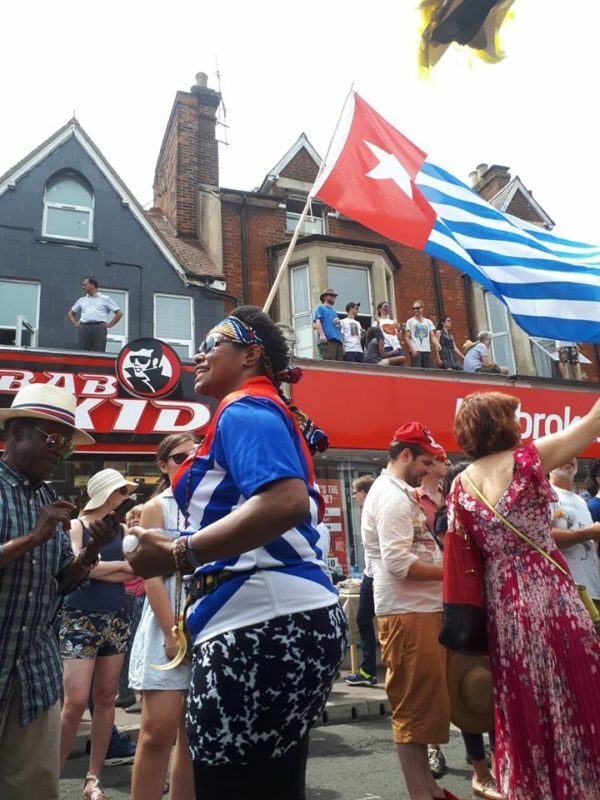 The Free West Papua Campaign is very grateful for all the support from the people of Oxford. 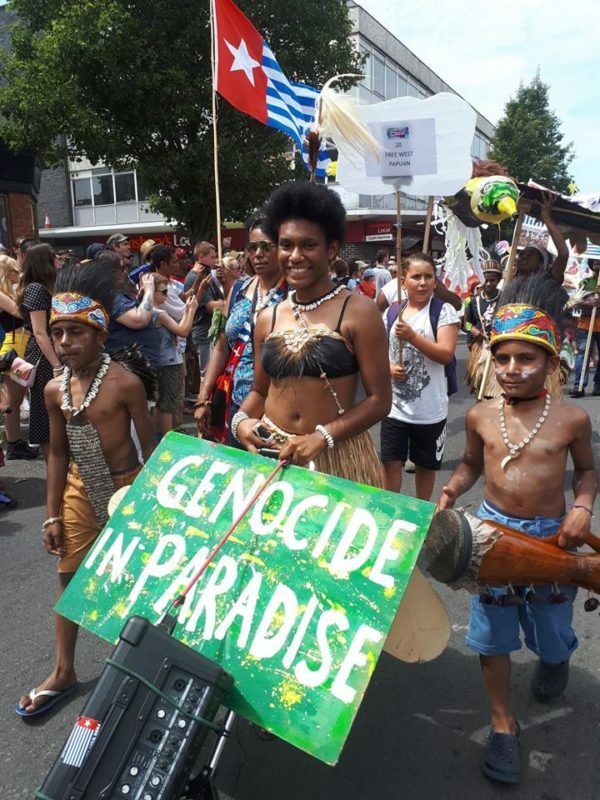 For more photos, go to our Facebook page.